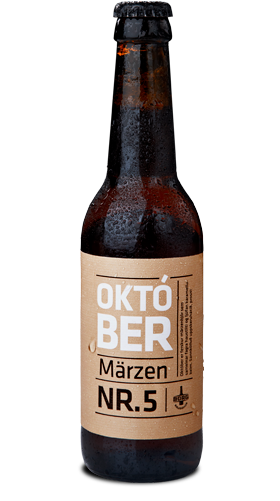 Like the name suggests, Október is a seasonal brew made on the occasion of Oktoberfest, a festival going back to 1810 when Ludwig the crown prince of Bavaria married Teresa Saxe-Hildburghausen. 40.000 guests attended their wedding party that then turned into the annual festival of Oktoberfest. Október has an amber copper-red color and a malty aroma from the use of three different types of malt. The Perle hops provide the subtle balancing agent of bitterness.